Kevin D. Johnson is a Shareholder in the firm. Kevin has been Board Certified in Labor and Employment Law by The Florida Bar since 2007. For more than two decades, Kevin has represented and advised employers about laws that affect their relationships with employees, helped them solve problems when they arise, and defended them against discrimination charges and lawsuits filed by their employees. His clients range from national restaurant chains, retail employers, and large hospitals, to independent restaurants, medical practices, and other local employers. Kevin has experience litigating cases in jurisdictions throughout the United States, both in single-plaintiff cases, and in nationwide class and collective actions. 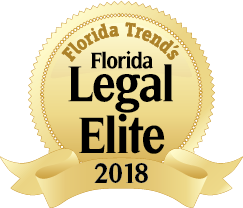 He has been recognized in the field of employment law by various publications, including Best Lawyers in America, Florida Trend, and Super Lawyers. Kevin is AV-rated by Martindale Hubbell. He has also been recognized by The Florida Bar for his involvement with promoting technology and practice-management education for Florida lawyers. Kevin graduated from the University of Florida Levin College of Law. He was born and raised in Gainesville, Florida.